Today’s post is all about what to wear to Thanksgiving 2017. Dressing for Thanksgiving can be tricky especially if its a new environment you want to be comfortable, yet cute while making a good impression. Today’s outfit idea is an easy one because I am pretty sure you own all the pieces needed to recreate the look. Tip: Add a belt to create two distinct layers it adds shape and creates a natural silhouette. 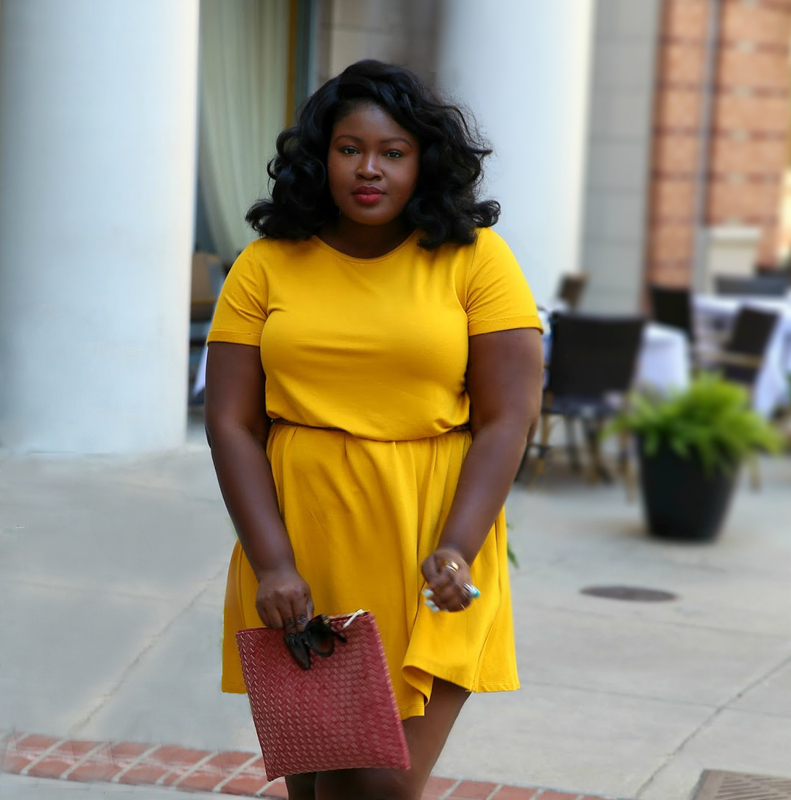 For this outfit I choose to layer, layering sweaters over summer dresses is an easy way to wear your favorite summer dresses while stretching your wardrobe. 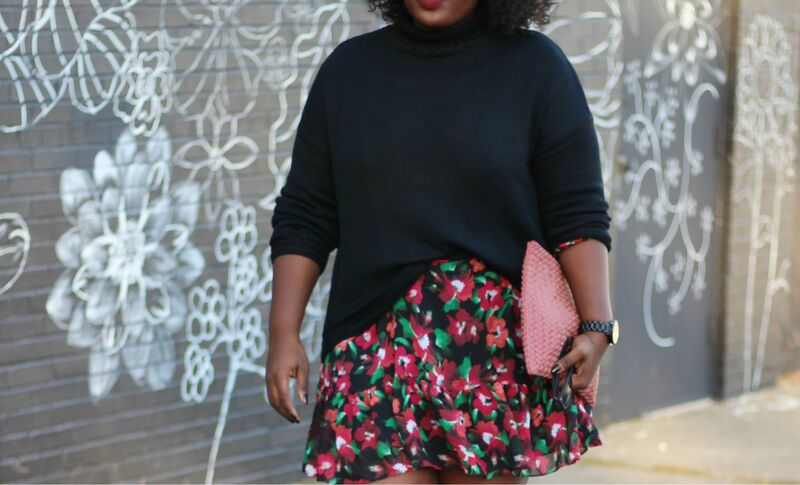 I paired a mock neck chunky sweater from Oldnavy with a floral dress from the spring. 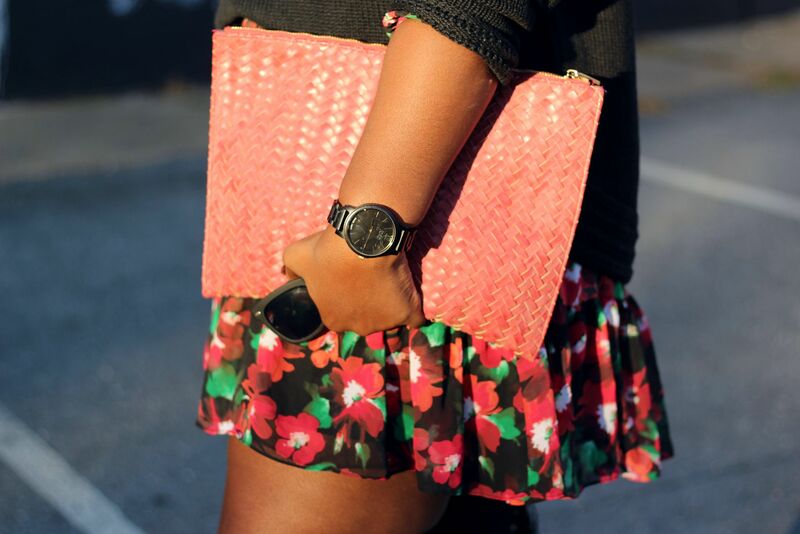 Its floral pattern is in keeping with this season’s dark floral trend. 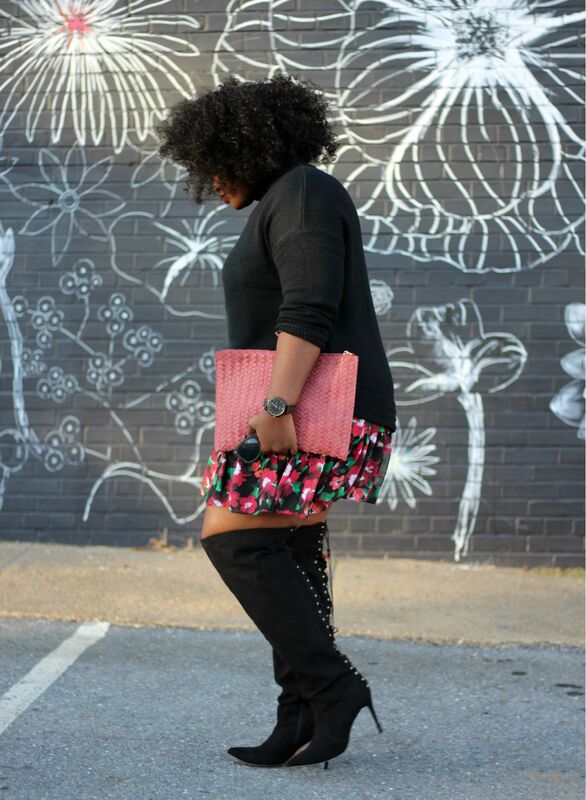 I also paired it with my favorite OTK boots from Eloquii (last season) and a red clutch to complement the floral pattern. This outfit is polished yet current and still pretty comfortable perfect for meeting the parents this Thanksgiving. Its officially November and things are getting festive at Supplechic HQ (aka where ever I am). Coming up within the week are Gifts Under $25 If you are looking for gift Ideas you can check out my past guides Here. I will be rounding up the Top gifts all month long so if you have any requests send me an email Here. 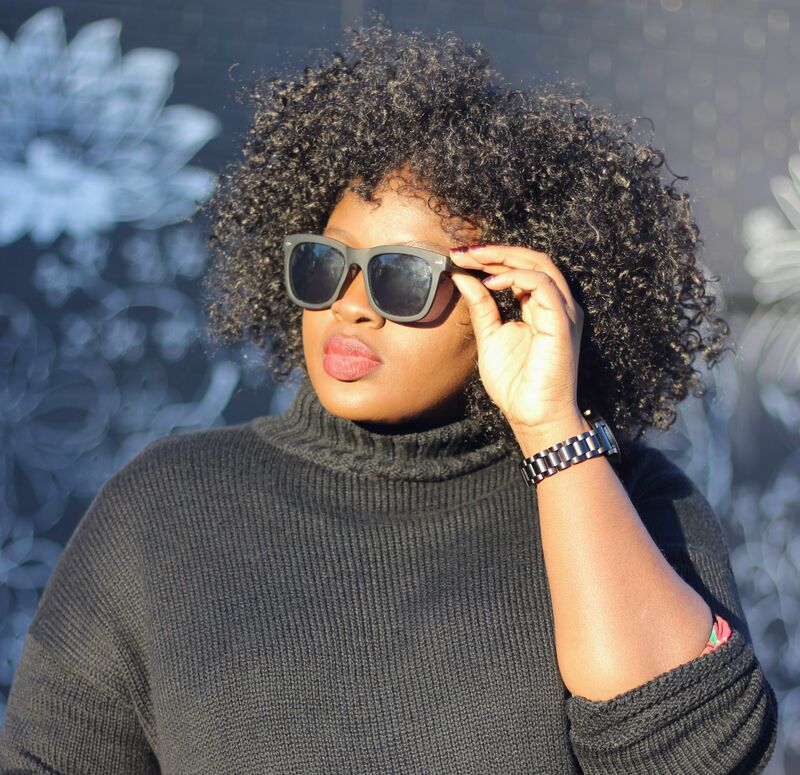 My goal is to be your Chic source for all things Holiday (gift guides, Outfits, and much more). Based on the poll on Instagram, you bought most of your gifts online last year but not very many of you used the guides. I’d love to hear your thoughts on what could be done better email me HERE. Fantastic look on You and those boots. . . I love this getup, it is have a personal touch. it is so beutyful .